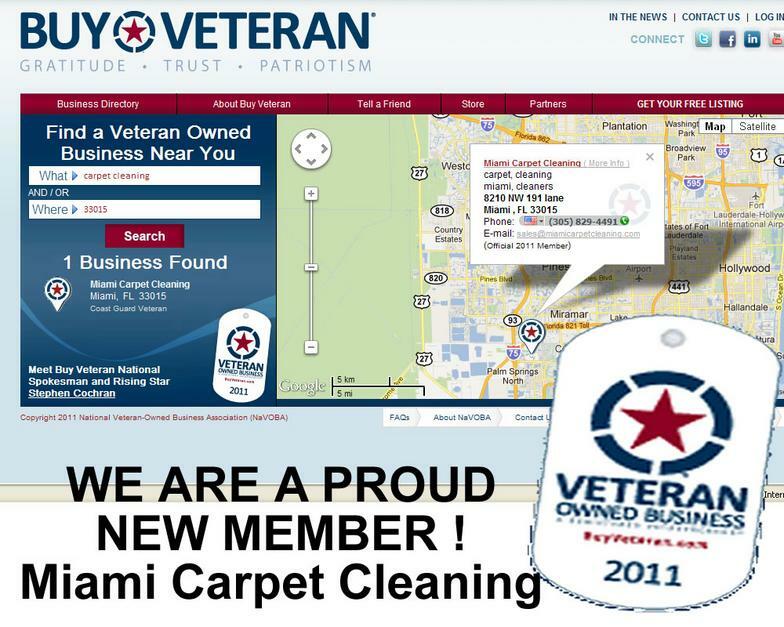 I opened Miami Carpet Cleaning back in 2004 when I couldn't find a reputable carpet cleaning company. All I wanted to know at that time was the final price for cleaning my studio apartment. If you’re looking for high quality and personal service, you’ve come to the right place. At Miami Carpet Cleaning we’ll give you the attention and personal service you’ll come to expect and enjoy without the headache of switching prices, improper cleaning, lying, cheating you name it. See Below on how other companies are operating. Companies / phone numbers advertising as us on the internet. If you're searching for a carpet cleaning company - do a few searches on the phone number they provided you. See how many times they have changed their business name. A lot of companies are and have been in competition with my business and 90% of them are boiler room operations. BUYER BEWARE. See below videos that I've posted so you can see how bad this industry has gotten with scrupulous fraudulent illegal companies. 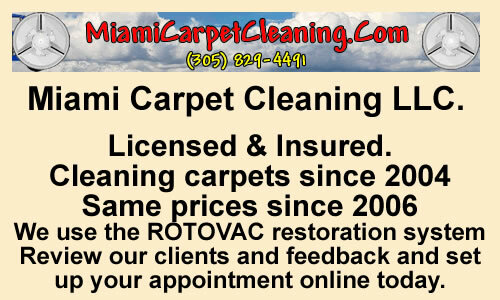 Miami Carpet Cleaning - We DO NOT HAGGLE our prices. We've kept our prices the same for the past 6 years. When you click on schedule your appointment - All our prices with explanation are showed to our clients. We ALWAYS do a DEEP carpet cleaning - NO BASIC STEAM CLEAN - or water only carpet cleaning. We DO NOT CHARGE by rooms - We charge by the apartment / home size, living room & dinning room are included in the price. We DO NOT up sale - we do not change our prices. We do not add in any extras. We do the best job that we can on every job. We are CARPET CLEANERS not salesman. Our prices are listed and have been the same for the past 6 years. I am a US Veteran who served my Country Proudly for 10 years and I'm ready to serve you and take you on as one of our new life time clients. Owner Miami Carpet Cleaning LLC.